Summer cooking at its finest. 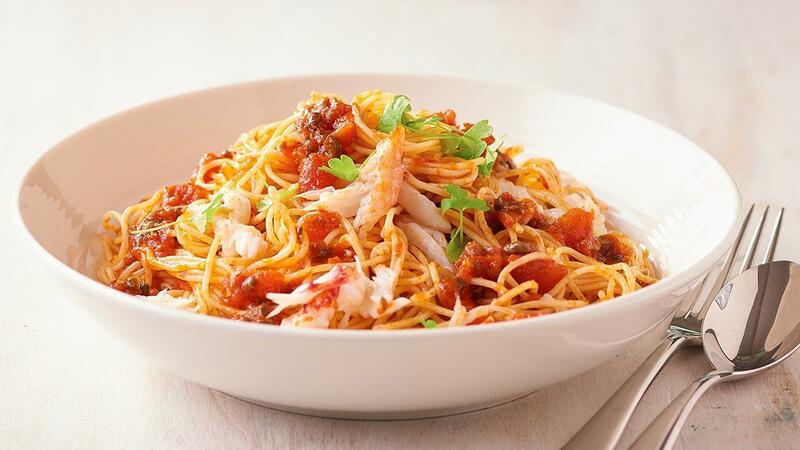 Succulent chunks of King Crab all tossed together in a web of fine strands of angel hair pasta. Heat oil in a large frying pan, add chilli and cook for 1-2 minutes. Add KNORR Pronto Napoli, KNORR Garlic Puree and capers, lemon juice and crab and simmer for 3-4 minutes. Return pasta to pan and toss to combine.